I beg you hold fast to these words of mine. 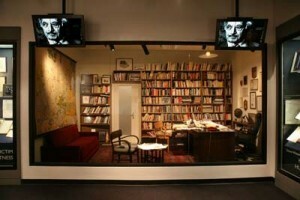 This docent-lead tour will include one of the newest additions to the MOT’s permanent collection — Simon Wiesenthal’s Vienna office, re-created with original documents, artifacts, furniture and books, is the setting for a multimedia presentation on his the life and legacy. The tour will include We the People, an animated visual history wall telling the story of this country through themes that have shaped the American experience for 400 years. 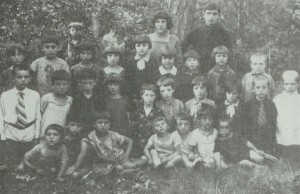 You’ll also get a sneak preview of the new photographic exhibit that officially opens May 2 entitled Besa: Albanian Muslims Who Saved Jews During WWII. Reservations required. There is only limited space and this tour will fill quickly! Contact pweisberger@gmail.com to make a reservation. There is a $10 per person charge for the tour. Pay at the door. Reserve a spot by sending an email to: pweisberger@gmail.com. Put MOT TOUR in the subject line. You can select from several choices of sandwiches and salads. $7.50 plus tax includes one selection and a drink of your choice, with the option to add chips or a muffin for a small additional fee. To view the menu CLICK HERE. Please email pweisberger@gmail.com with your choices by April 27. (Note: there is also a kosher café on site at the MOT. You can tour their exhibits independently and eat there at any time. No reservations required. Note that regular museum hours on Sunday are 11:00AM – 5:00PM. Anyone with tour reservations will be admitted at 10:30AM, but all others must wait until 11:00AM. For more MOT info go to: www.museumoftolerance.com or phone: 310-553-8403. If you want to book a tour on your own they strongly advise making reservations in advance. 2:30PM – 3:30PM – Presentation: “Exploring the Lost Town of Trochenbrod” with Avrom Bendavid-Val – Book sale & signing prior to and after the talk. Limited seating, reserve now by emailing Pamela Weisberger at pweisberger@gmail.com. Trochenbrod was the only freestanding, fully realized Jewish town in history. 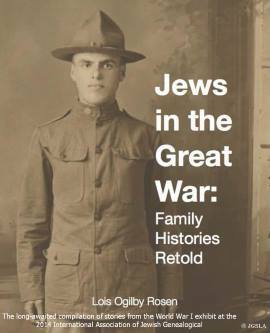 It began with a few Jewish settlers searching for freedom from the Russian Czars’ oppressive policies, which included the forced conscriptions of one son from each Jewish family household throughout Russia. At first, Trochenbrod was just a tiny row of houses built on empty marshland in the middle of the Radziwill Forest, yet for the next 130 years it thrived, becoming a bustling marketplace where people from all over the Ukraine and Poland came to do business. But this scene of ethnic harmony was soon shattered, as Trochenbrod vanished in 1941—her residents slaughtered, her homes, buildings, and factories razed to the ground. Yet even the Nazis could not destroy the spirit of Trochenbrod, which has lived on in stories and legends about a little piece of heaven, hidden deep in the forest. Bendavid-Val, himself a descendant of Trochenbrod, masterfully preserves and fosters the memory of this city, celebrating the vibrant lives of her people and her culture, proving true the words of one of Trochenbrod’s greatest poets, Yisrael Beider: I beg you hold fast to these words of mine. After this darkness a light will shine. Avrom Bendavid-Val worked as an expert in economic development and environmental management in America and in poor countries for 45 years. During his career he traveled and worked in many countries in Africa, Asia, East and Central Europe, and the Middle East, and published several books in his field. In 1997, while working in Poland, he decided to visit the site of the vanished town his father and grandfather came from, Trochenbrod, Ukraine. 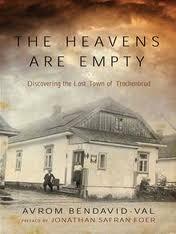 He was gripped by the experience, became an impassioned researcher into the 130-year history of the town, and eventually wrote The Heavens Are Empty: Discovering the Lost Town of Trochenbrod to share what he found with a broad audience. 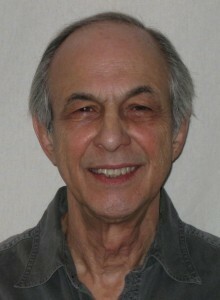 Avrom lives with his wife, Leah, in Washington, D.C.